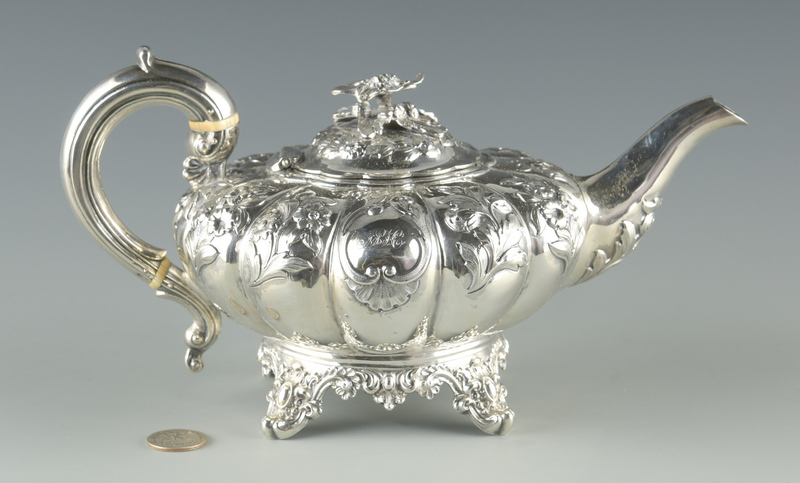 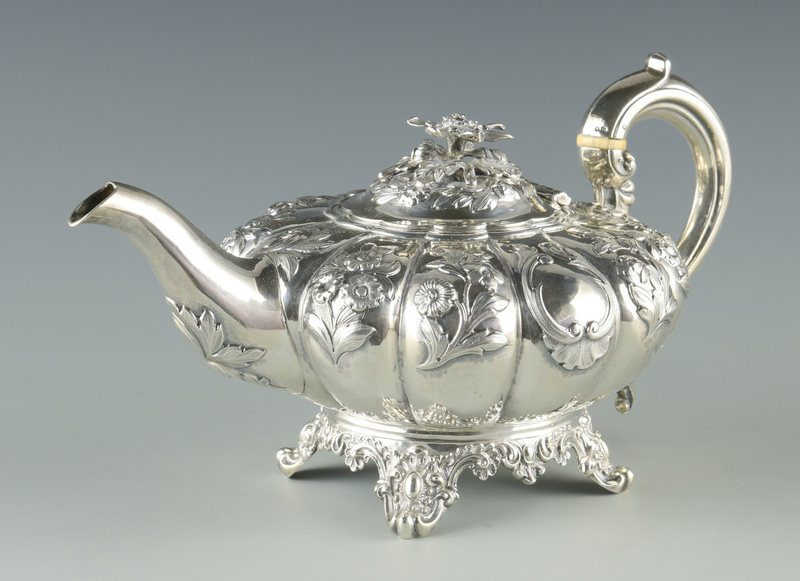 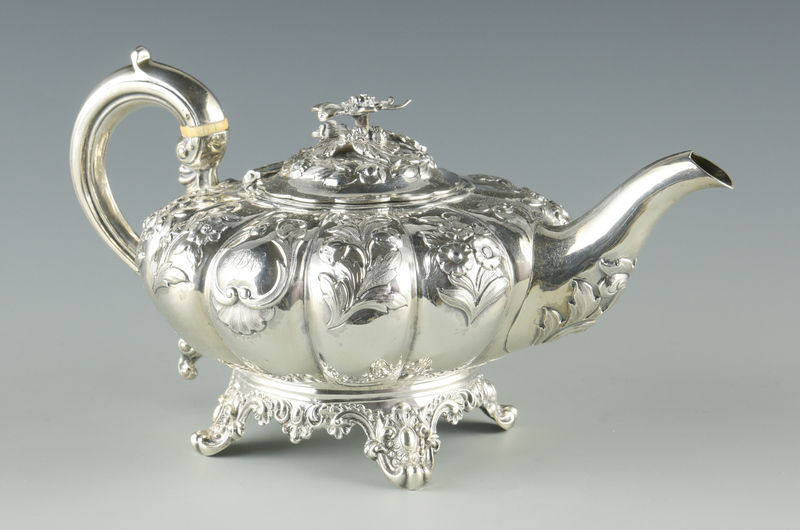 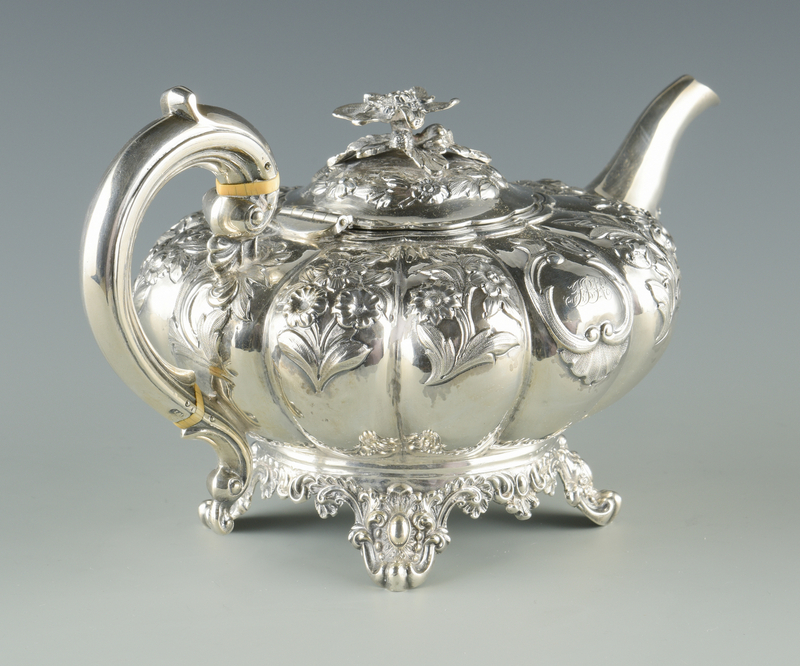 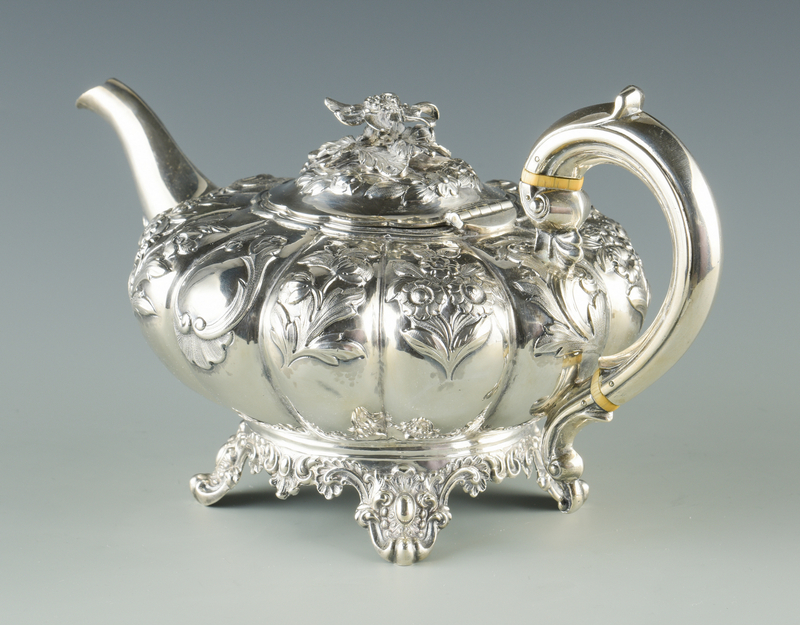 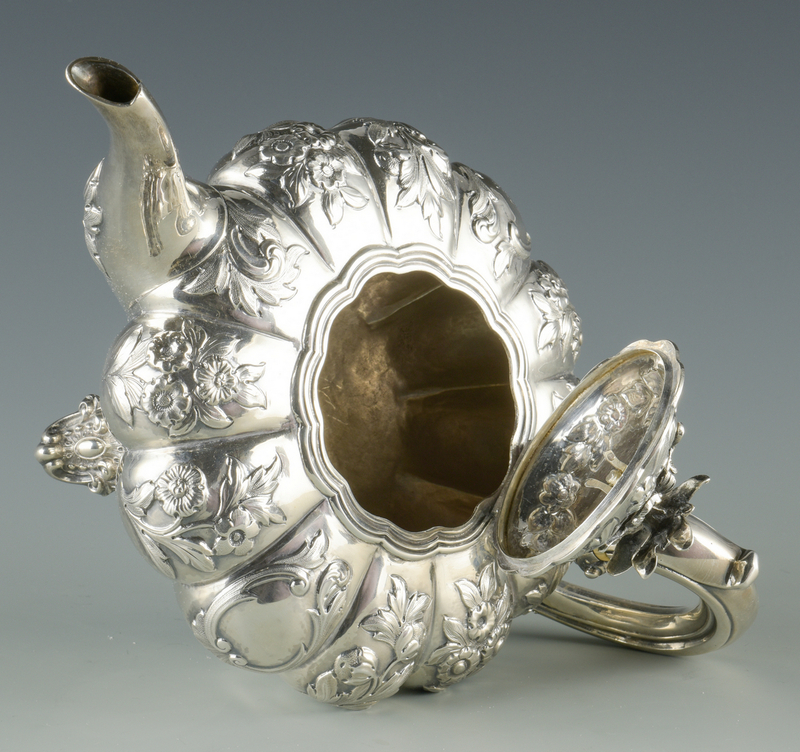 Victorian sterling silver teapot, round form with lobed sides and spout decorated in repousse floral design, the body with center cartouche and monogram JSH, hinged top with floral finial, four cartouche feet. 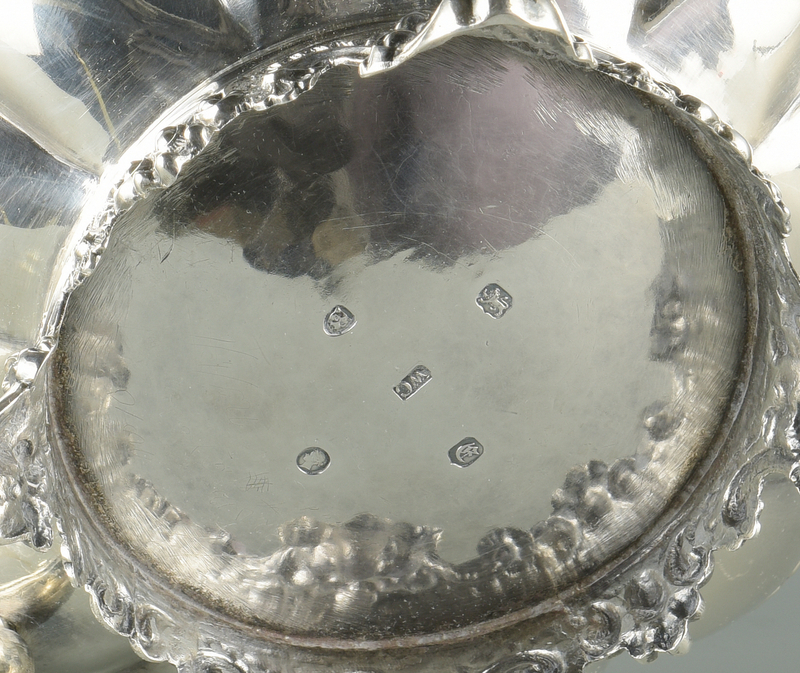 Hallmark on underside for William Chawner, London 1840-41; lid with lion and leopard head hallmarks and maker's mark WH (lid does not appear to have had any alterations). 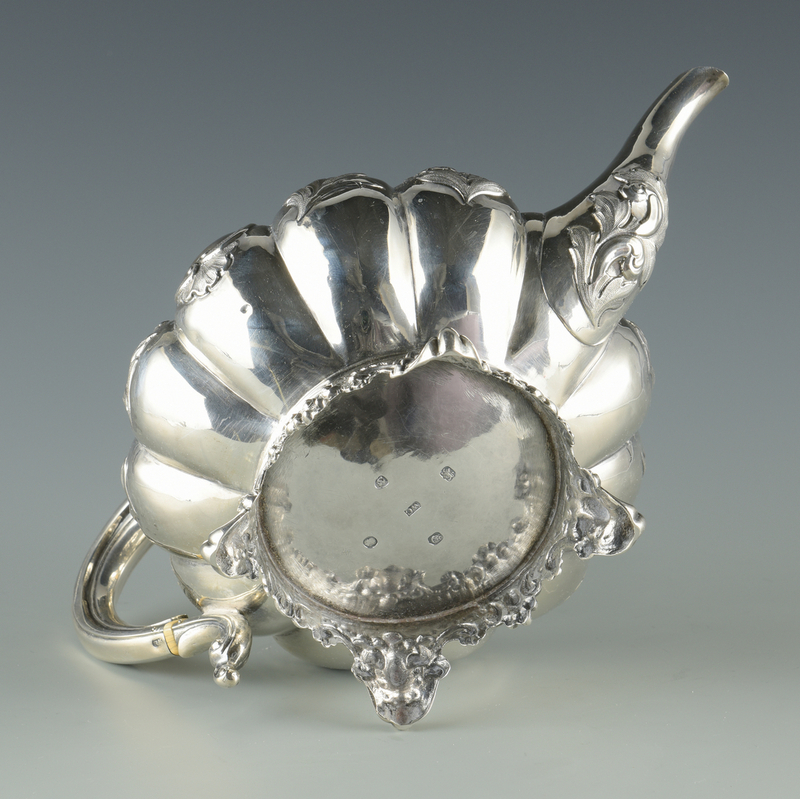 Spout marked with lion passant and leopard head. 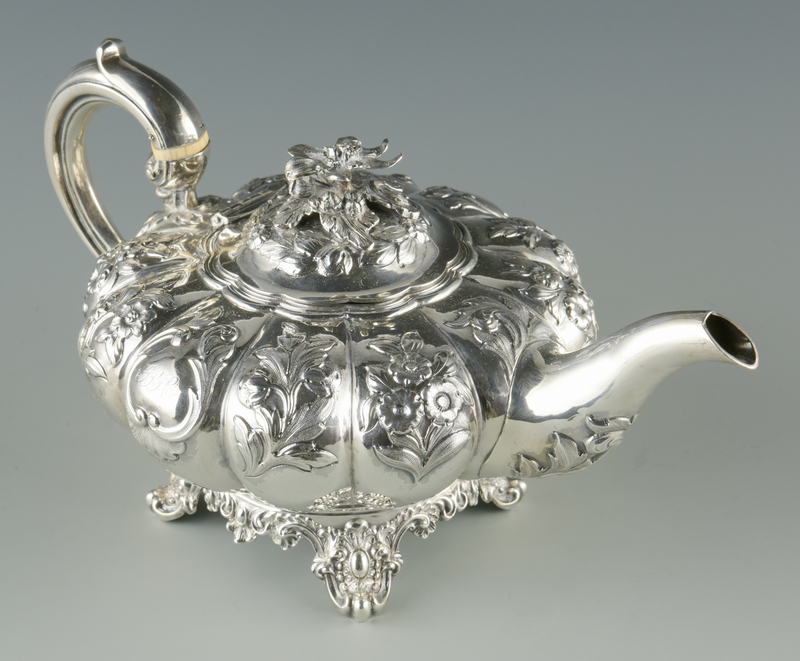 6" H, 22.4 oz troy. CONDITION: Excellent condition.